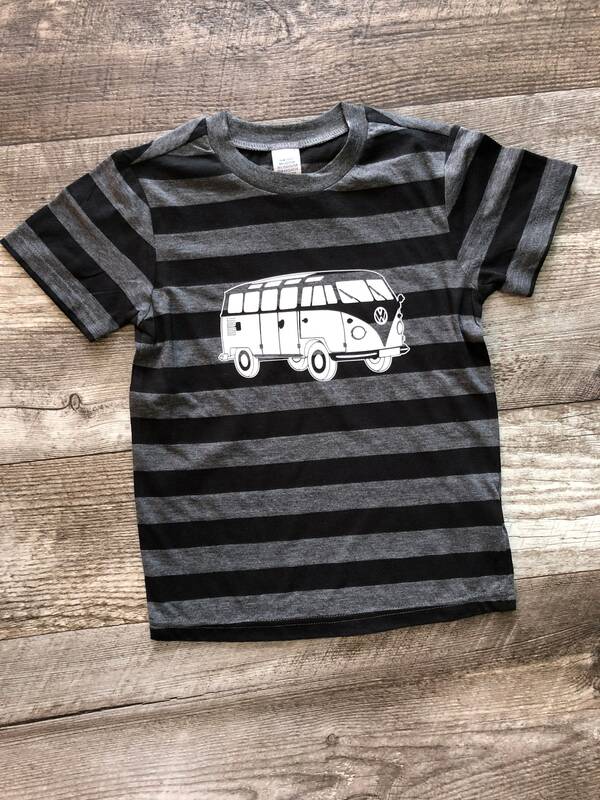 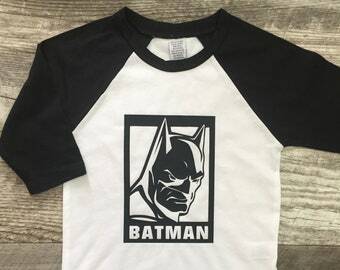 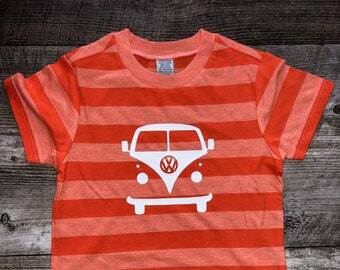 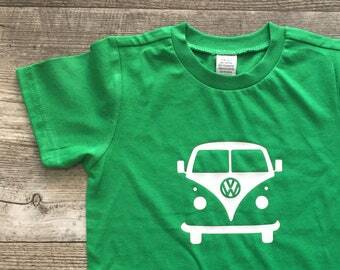 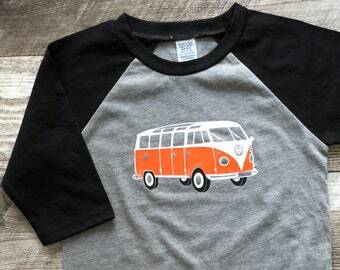 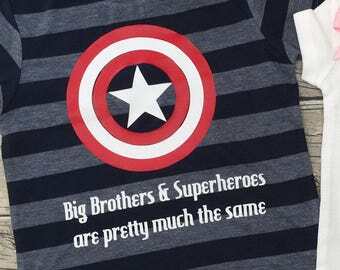 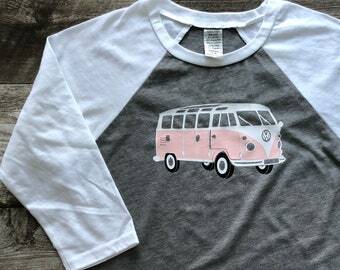 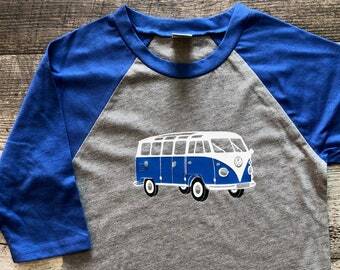 This T is black/gray striped with a white Bus. 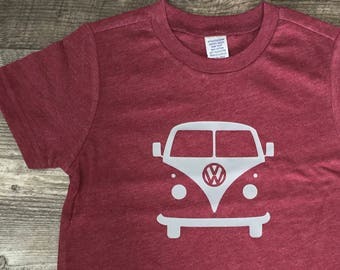 It is also available in many different colors! 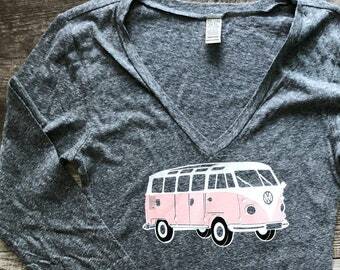 Just convo us for a custom order at no extra charge!